In Whitestown, Indiana, resides a dynamic father and son, Pete and Bobby Mattingly, with a talent and passion for brewing craft beers. 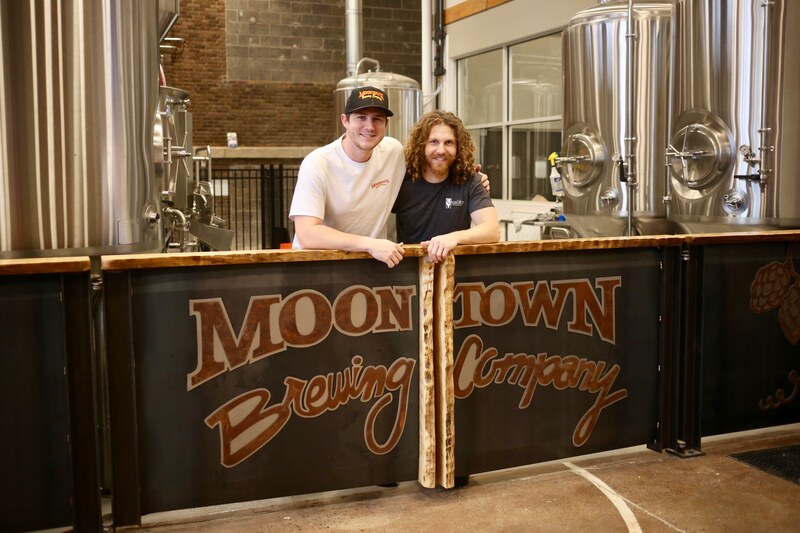 Upon entering and winning a local brewing competition in Boone County, the Mayor of Whitestown approached the two with a proposal to renovate the former Whitestown High School into a full production brewery, the first of its kind in the up and coming city. Much to the city’s delight, Pete and Bob, eagerly accepted the challenge. The duo quickly assembled the rest of the young Moontown Dream Team, Cody (head brewer), Dave (executive chef), and Georgia (marketing and event manager). But there was much work to do. 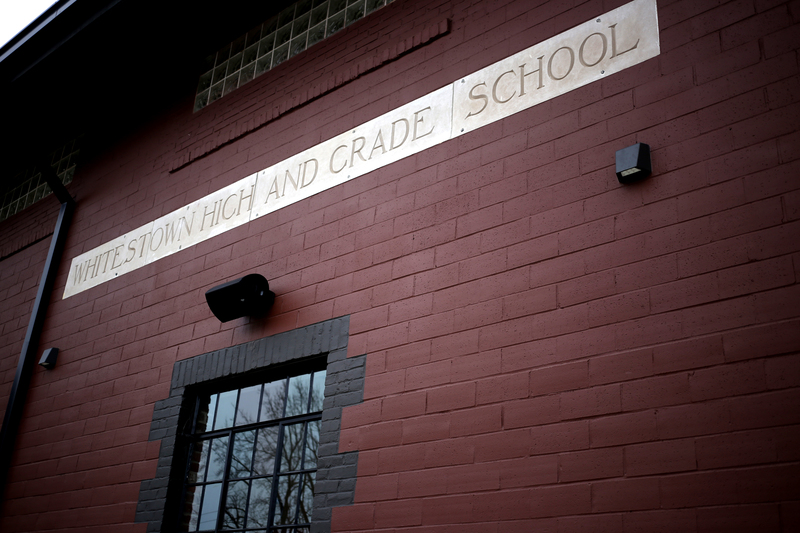 You see, the former Whitestown High school is a beautiful historic building that housed the school’s gymnasium. Luckily, Pete Mattingly is a commercial builder as well as home brewing aficionado. In speaking with General Manager Bobby Mattingly, he really wanted to make use of everything the building had to offer. One example is the bleachers that have been repurposed into accent pieces. 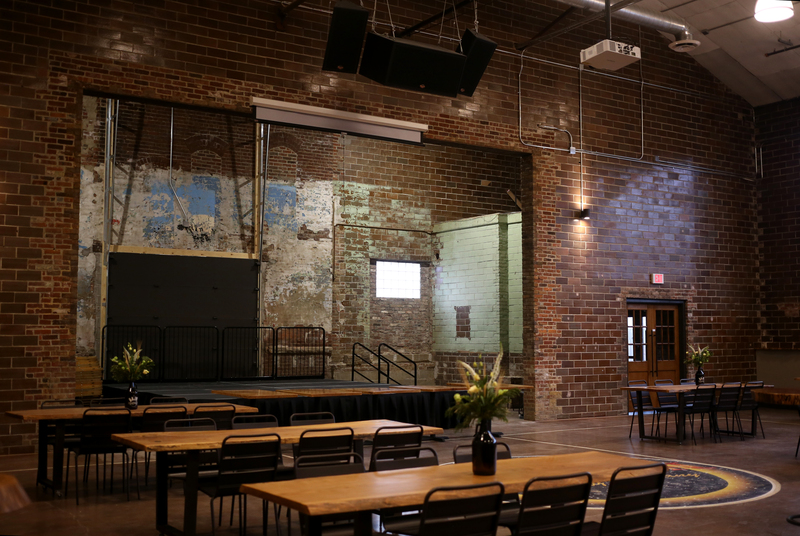 Another example is an old fallen oak tree outside the high school, which has been repurposed into a gorgeous live edge wood bar and tables found throughout the Brewery. But what does all this have to do with Klipsch Audio you ask? 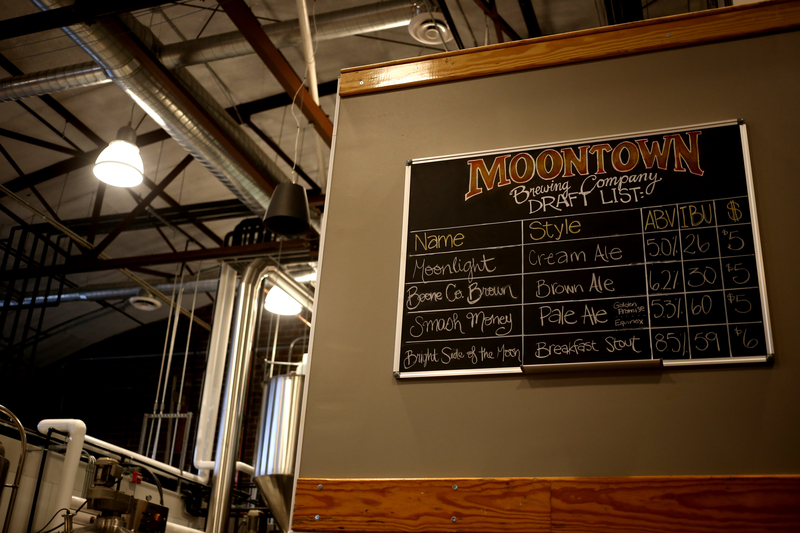 The goal was to establish four different areas inside the brewery: The Brew Area, Tap Room, 1915 Room, and Outdoor area. 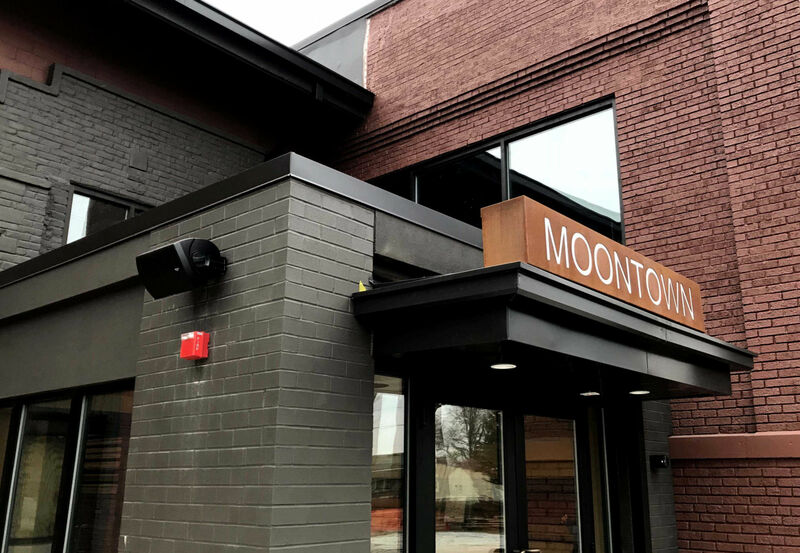 “We wanted to create a place where high quality beer and music combine to make a warm and welcoming community space for families, friends, and events. "There was no question in our minds that Klipsch was the way to go. In fact, one of the first things we installed was the audio system,” said Bobby Mattingly. 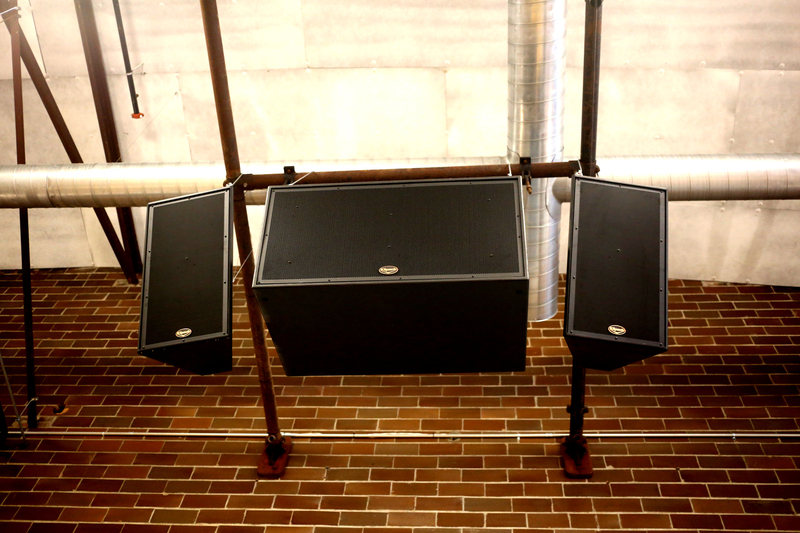 To help keep each area’s sound separate, it required Klipsch controlled directivity, acoustic paneling on the ceiling, and sound damping the walls to isolate sound in specific areas in this unique space made up of stainless steel tanks, brick walls, steel beams, thick windows and lots of reclaimed wood. There are four different zones of audio using two sources. Among the products used, Klipsch Pendants housing 70V In-Ceilings suspended from high-ceilings for distributed audio, as well as KI Series Permanent Install speakers for live music performances, and Klipsch 70V Surface Mount speakers around the outdoor areas for ambient music. Currently the team is experimenting and brewing new recipes and seasonal beers. 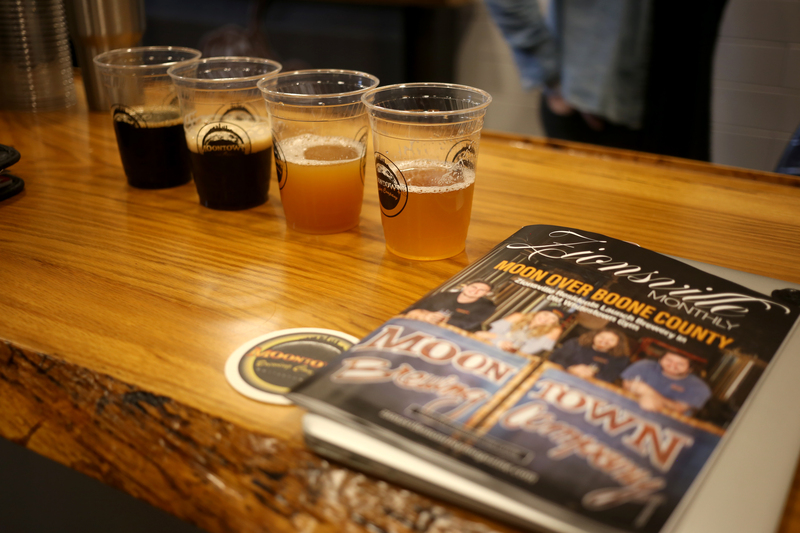 During our visit, we sampled four different house brews, a Pale Ale, Breakfast Stout, Brown Ale, and Cream Ale, which were all simply delicious. The grand opening is set for March 2018 and we cannot wait to be a part of the family style atmosphere with food, fun, and the live music experience that Klipsch brings to the table. 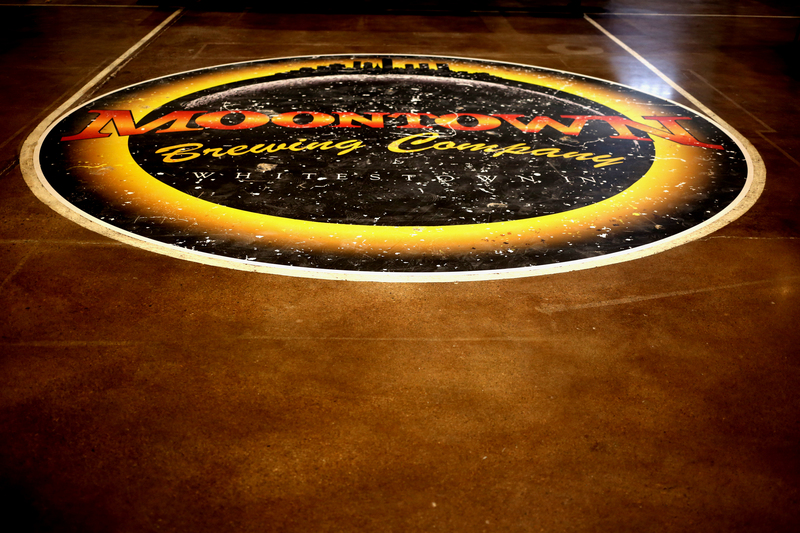 For more info visit www.moontownbeer.com!